4 years & up. 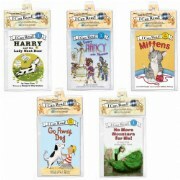 Get fancy with Nancy! Help Nancy get dressed up and ready to impress on her travels to Paris. You have to look good when you go to the land of high fashion! 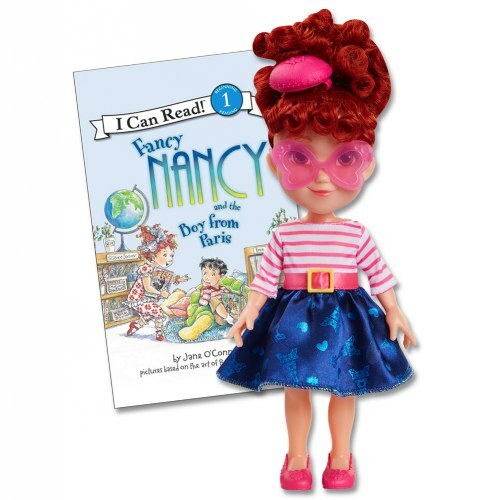 This charming doll set brings the adorable, witty fashionista from the classic bestselling Fancy Nancy™ books to life. 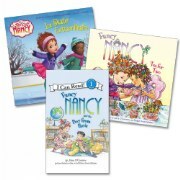 In the book Fancy Nancy™ & the Boy from Paris, she can't wait to have another fancy friend. When her new friend Robert cares more about horses than the Eiffel Tower, Nancy is happy to have a new friend - fancy or not! 32 Pages. Paperback. Doll meaures 10" tall. Doll includes: 1 Poseable Fancy Nancy™ Doll, 1 Bag of surprise Fancy, Removable shoes, Fancy fascinator, and a Fashionable Parisian outfit.